Moto G7 Plus Full Specifications Leaked Through TENAA Listing - Playfuldroid! The Motorola XT1965-6 smartphone has appeared with its entire specifications on the website of TENAA telecom authority. The specs of the phone that have surfaced through the TENAA listing matches with the leaked configurations of the Moto G7 Plus that have appeared in the recent past. The TENAA listing lacks images of the smartphone. The XT1965-6 TENAA listing reveals that the handset measures 156.9 x 75.3 x 8.2mm. The handset weighs 176 grams. The smartphone is fitted with a 6.24-inch display that produces full HD+ resolution of 2270 x 1080 pixels. 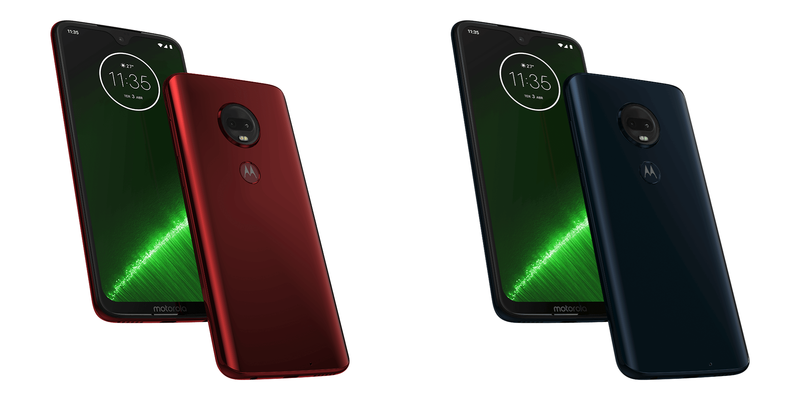 Leaked renders of the Moto G7 Plus have revealed that the Moto G7 Plus will be equipped with a waterdrop notch enabled screen. The smartphone is packed with a 2,820mAh battery. It is powered by an octa-core processor which include a quad-core processor working at 1.8 GHz and another quad-core CPU clocking at 1.6 GHz. The handset could be fueled by the Snapdragon 636 chipset. The 64 GB and 128 GB storage editions of the XT1965-6 respectively features 4 GB and 6 GB of RAM. The handset is loaded with Android 9.0 Pie OS and has support for expandable storage. The rear shell of the phone will be featuring a dual camera setup, but the TENAA listing has information on a single-lens of 8-megapixel. The front notch of the phone will be featuring a 5-megapixel selfie camera. The smartphone will be releasing in China in colors like blue, red, black, purple, gray, gold, silver and white.